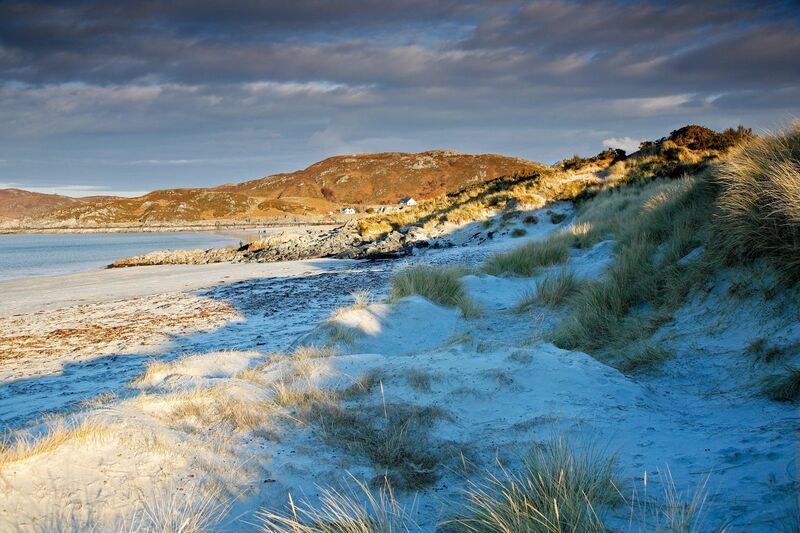 Well, here it was at last, the famous Camusdarach Beach made famous by the film Local Hero. The tide had just turned leaving the edge of the water covered in tiny pieces of coral and small sea shells which fascinated my wife Sheila for hours as I wandered along the inter-linked small beaches taking shots of the spectacular view to the jagged crest of Cuillin on the Isle of Skye, the rugged blue peaks of Rum and the steep sea cliff of Eigg. How time flew - hours had gone by before we noticed. The simple pleasures can often be the best.